John Guest offer a range of push-fit fittings and pipe that provides the ideal connection from compressor receiver to air line service components through to complete ring main and take off points. A JG compressed air system can be installed quickly and easily, compared with other installation methods, delivering achievable time savings of at least 50%. Offering a wide assortment of both metric and imperial fittings along with tubing and accessories, the John Guest air systems deliver the necessary solutions to a range of installation challenges. 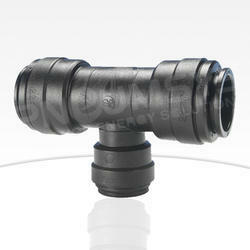 The fittings are produced in either a tough engineering plastic material or in brass in sizes 12mm to 28mm. 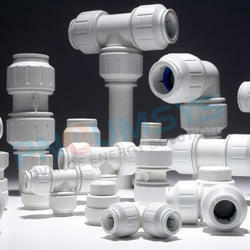 They are intended for use with nylon, copper or aluminium pipe. 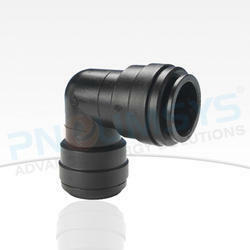 We offer a range of push-fit fittings and pipe that provides the ideal connection from compressor receiver to airline service components through to complete ring main and take off points. A John Guest compressed air system can be installed quickly and easily, compared with other installation methods, delivering achievable time savings of at least 50%. Offering a wide assortment of both metric and imperial fittings along with tubing and accessories, the John Guest air systems deliver the necessary solutions to a range of installation challenges. The fittings are produced in either a tough engineering plastic material or in brass in sizes 12mm to 28mm. They are intended for use with nylon, copper or aluminum pipe. We are engaged in offering a wide range of John Guest Speed fit Fittings to our valuable clients. Our organization is counted among the recognized firms engaged in offering a wide range of Equal Elbow Compressed Air Fittings. The fittings offered by us are manufactured using high-grade raw material and are known for their easy installation and durability. These are also tested on various parameters so as to ensure their adherence with international standards and norms. 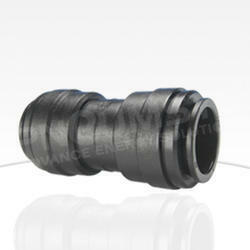 For meeting the variegated requirements of our clients, we are engaged in offering Straight Adaptor BSP Thread. These fittings does not require threading, brazing, soldering, clumsy sealing and binding compounds. The offered threads are manufactured in adherence with set industry standards and norms using high-grade raw material and advanced technology.